If the windows on your Muncie, Indiana, home are old and worn, they likely are letting drafts through and causing the internal temperature of your home to fluctuate, forcing your HVAC system to work extra hard. This means that your energy costs are probably higher than they should be. To enjoy more consistent temperatures in your house throughout the seasons and possibly even save money on your monthly energy costs, allow the experts at Clemens Home Solutions to provide you with premium energy efficient windows. We can supply top-of-the-line windows that are masterfully crafted right here in Indiana with all kinds of energy-saving features, including frame insulation, advanced weatherstripping, and high-efficiency insulated glass with heat-saving properties. In addition to being highly energy efficient, your new windows will be beautiful, incredibly durable, and maintenance free. 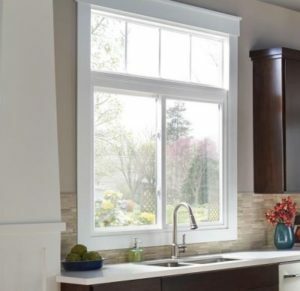 Furthermore, you can choose from a wide array of popular window styles, including bay, bow, casement, double hung, slider, picture, and garden. Here at Clemens Home Solutions, we want to be your one-stop shop for your window-related needs, which is why we offer expert installation services. Our highly experienced installers will make sure your new home upgrades are installed correctly so that they look and function as intended year after year. And, for added peace of mind, we’ll back our work with The Clemens Guarantee – our impressive 15-year full-service labor warranty. To learn more about the energy efficient windows we can install on your Muncie home, contact Clemens Home Solutions today. When you do, we’ll be happy to answer any questions you have and get you well on your way to enjoying more consistent and comfortable temperatures in your house.